Smart exterior styling, a comfortable and well-equipped interior and an affordable, economical nature all help to make the Chevrolet Kalos a hatchback worthy of close inspection. 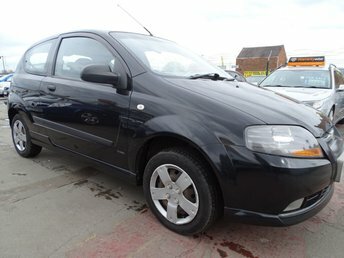 If you're searching for a reliable urban runabout with attractive looks and an easy-going nature, be sure to take a look at the latest range of used Chevrolet Kalos model for sale in Leicester at our showroom. Here at We Sell Any Vehicle Ltd we're proud to be a trusted supplier of quality second-hand vehicles and you can rest assured that all of the cars you'll find on our forecourt have been thoroughly tested and checked by a trained technician before going on sale. Take the time to browse our latest stock online before contacting the team to arrange a test drive.